Home to a rich mixture of historic architecture and beautiful green countryside, Parma is amongst the most appealing of Italy's Emilian cities. The city itself straddles the meandering Torrente Parma, part of the River Po, and boasts many characterful cobblestone alleys and modern cycle lanes. Parma has both a strong Etruscan and Roman heritage, being founded over 2,000 years ago, and boasts many well-preserved ancient remains of these former inhabitants. Tourism is currently enjoying great popularity and many tourists arrive for the city's food alone, with its Parmigiano Reggiano cheese being a firm favourite - made in this part of Italy for over 700 years. The city's world-famous Parma ham (prosciutto) is also worth tasting and a much-used ingredient at many of the restaurants, which are often clustered around the main public squares, such as the Piazza Garibaldi. 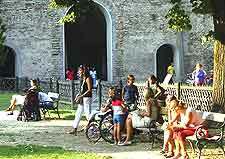 Close by, the Parma Tourist Information Office is to be found on the Via Melloni, along with a useful outlet of InformaGiovani. Tourists holidaying in Parma will be greeted with an array of sights worth seeing. Few come more impressive than the city's 11th-century Duomo Cathedral and the neighbouring Battistero tower, which is famous for its distinctive use of pink Verona marble. A number of historic theatres are also on hand in central Parma, such as the Teatro Regio on the Via Garibaldi, and the Teatro Farnese on the Piazzale Pilotta, which boasts the first-ever revolving stages to be installed in an Italian theatre. 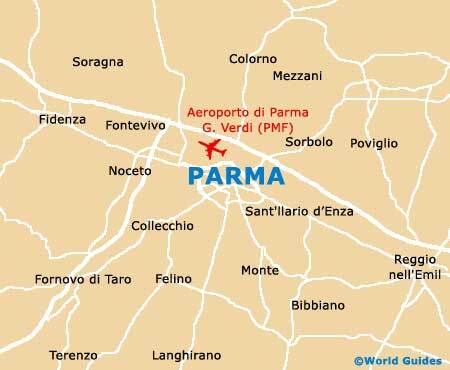 More information about Parma Tourist Attractions. 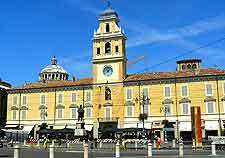 Since Parma enjoys such a rich history, this is generally reflected in its many beautiful buildings, particularly those along the Piazzale della Pilotta and the Piazza del Duomo, where the Palazzo del Vescovado is hard to miss. 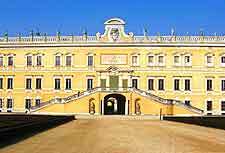 Other prominent landmarks dotted around Parma include the Casa di Toscanini, and the Palazzo Ducale, which stands proudly at the very entrance of the spacious Parc Ducale and features a rather distinctive yellow facade. More information about Parma Landmarks. The endless years of culture in Parma manifest themselves within the numerous museums around the city, which offer not only information about the region's past, but display some Italian treasures and prized art works. Museums worth looking out for include the Museo Archeologico Nazionale, Museo di Glauco Lombardi, and the Galleria Nazionale (National Gallery), which presides over the Palazzo della Pilotta. More information about Parma Museums and Parma Art Galleries. 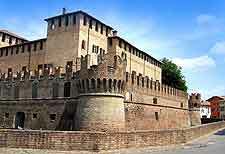 Venture outside Parma and you will immediately discover just how much the Emilia-Romagna has to offer tourists. The town of Reggio Emilia is amongst the most popular day trips, along with Langhirano, the actual home of Parma ham. Parmesan cheese production is still very much a part of life in the neighbouring village of Fontanellato, while Corniglio offers an array of seasonal activities, ranging from hiking to cross-country skiing. 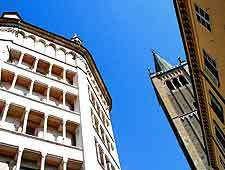 More information about Parma Attractions Nearby.